One of the best things about living in London is how close you are to other European cities. This past week I flew to Munich for three days to meet up with a friend. We decided to do some day trips from Munich to explore the Bavarian region of Germany. 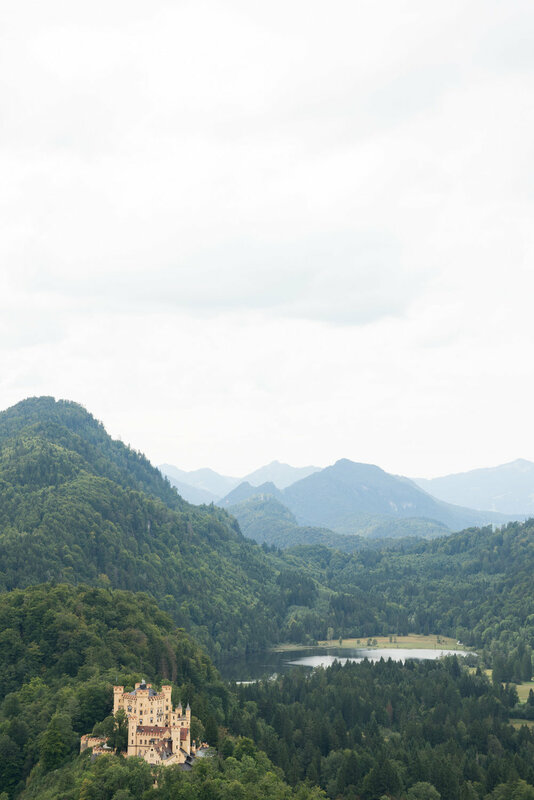 The first day we toured King Ludwig II's castles of Linderhof and Neuschwanstein, the latter looking like it came straight out of a fairytale. The next day we went to Cheimsee Lake, the largest lake in Bavaria. Ludwig II chose the largest of the lake's three islands for the location to build his third castle, Herrenchiemsee. In the nearby town of Aschau im Chiemgau, we took a cable car to the top of Kampenwand where we found amazing views of the lake below. Our last day was spent in the old town square of Marienplatz in Munich.